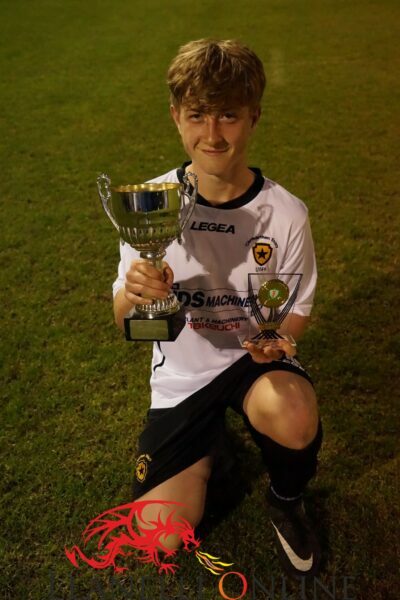 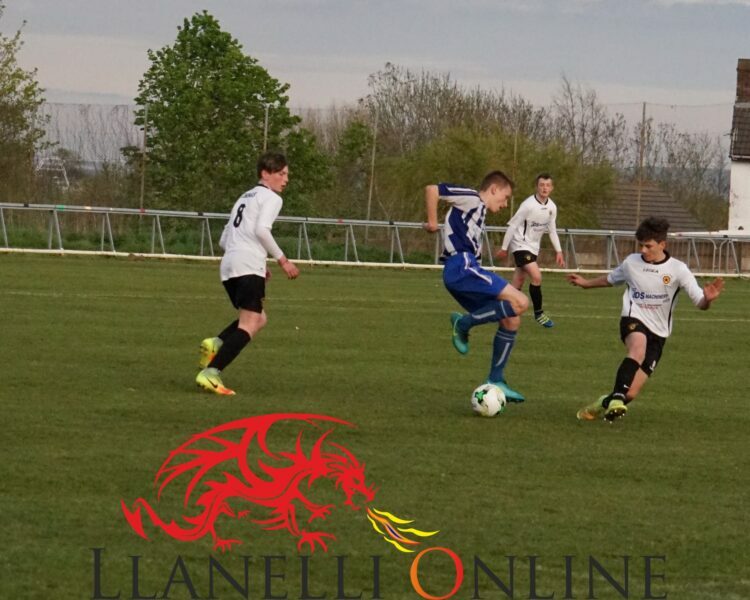 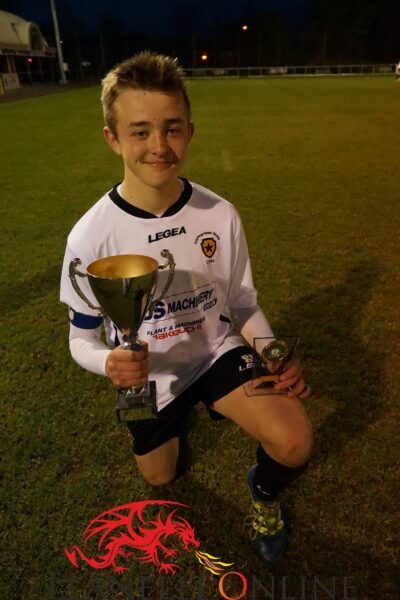 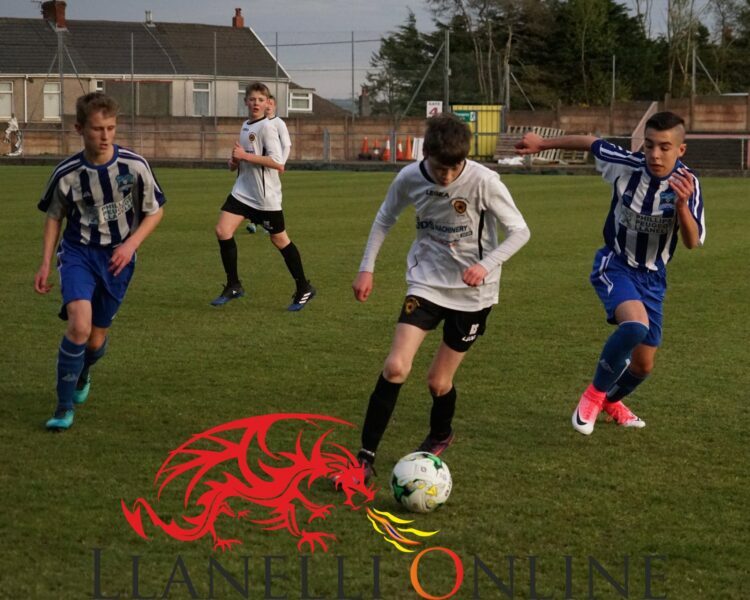 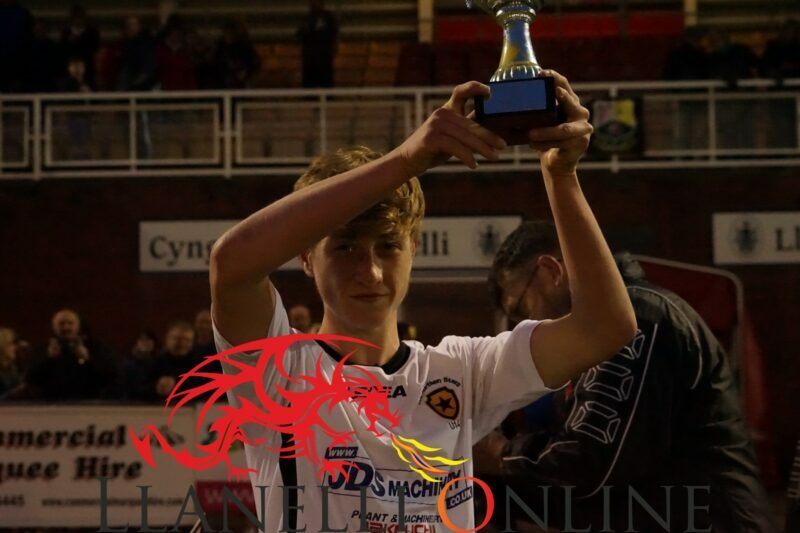 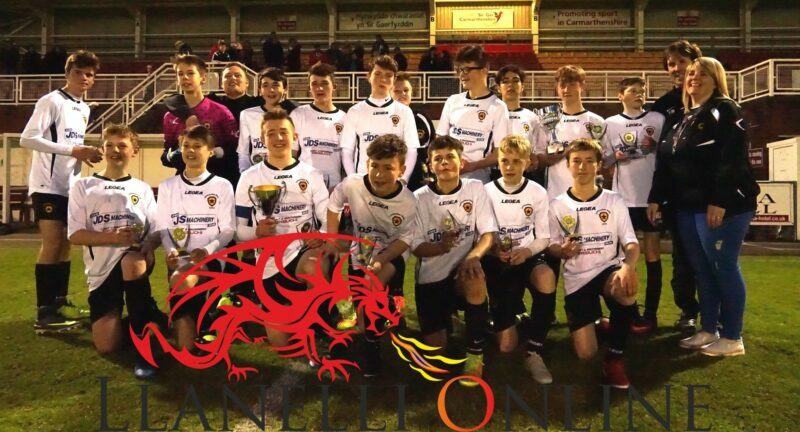 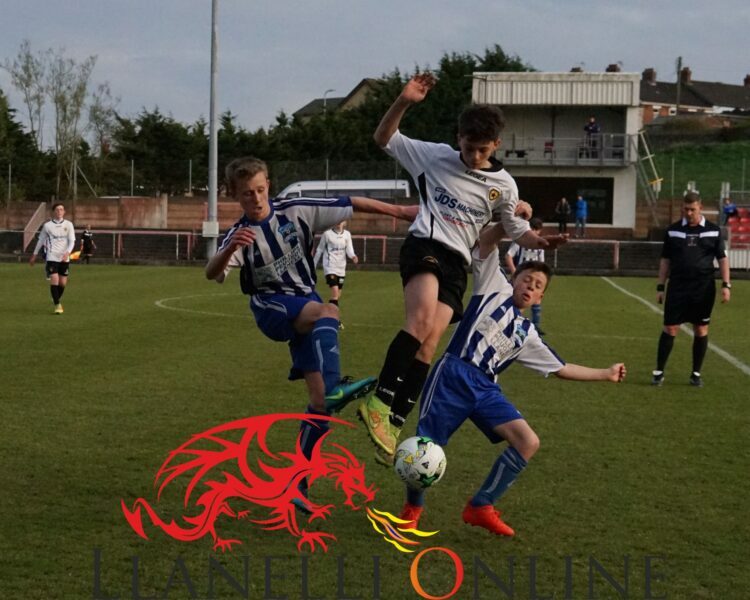 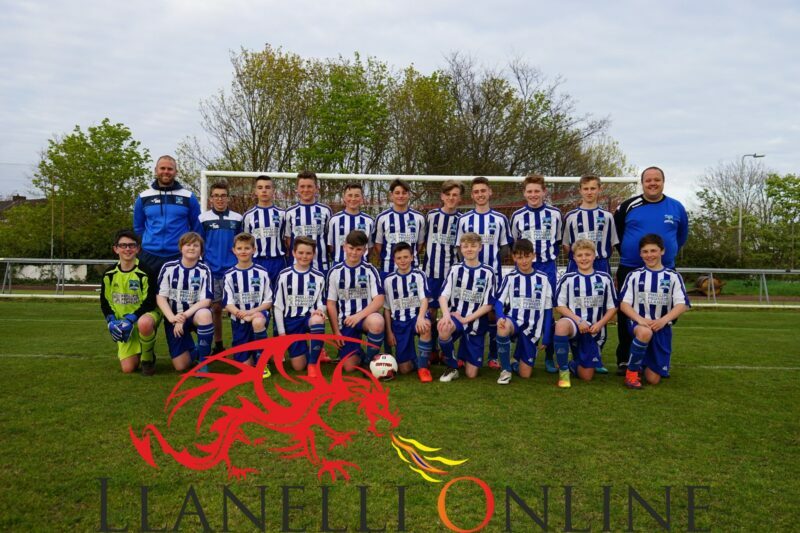 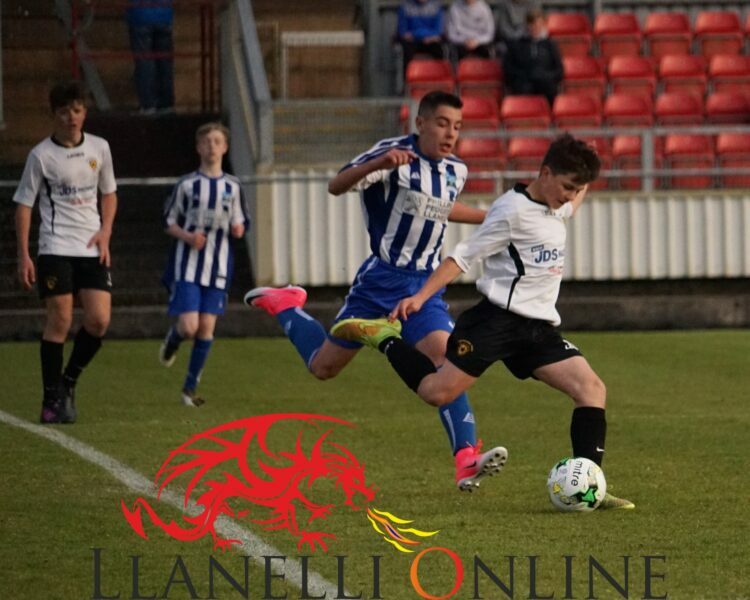 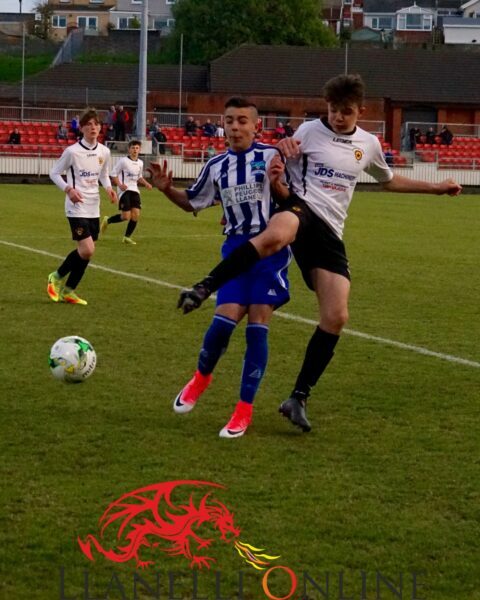 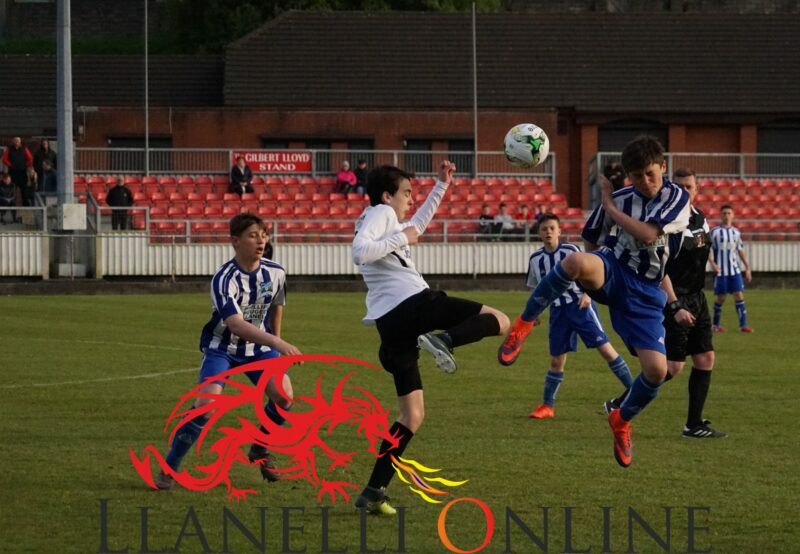 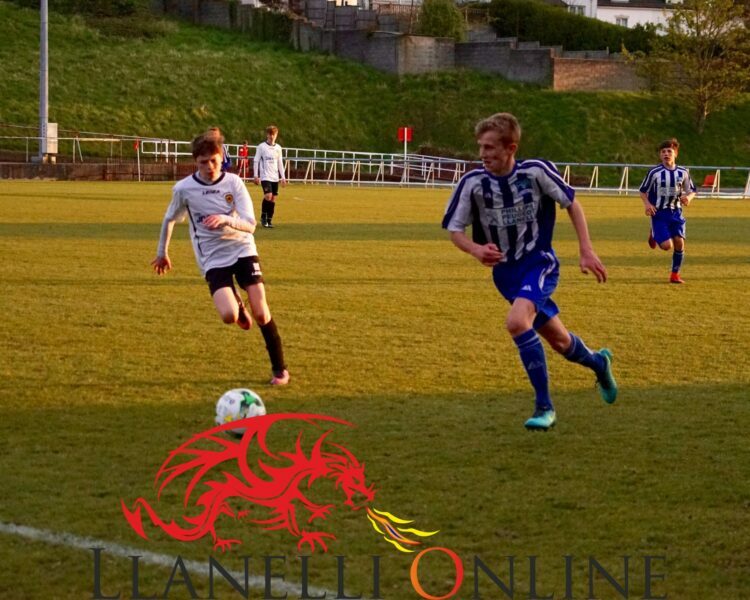 Carmarthen Stars are the winners of the Under 14’s cup final played at Stebonheath this evening, Tuesday (Apr 18). 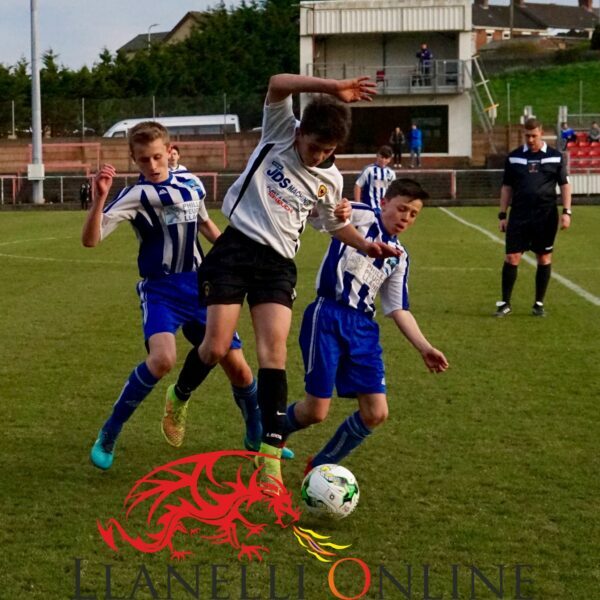 It was a great game to watch with both sides coming close on numerous occasions. 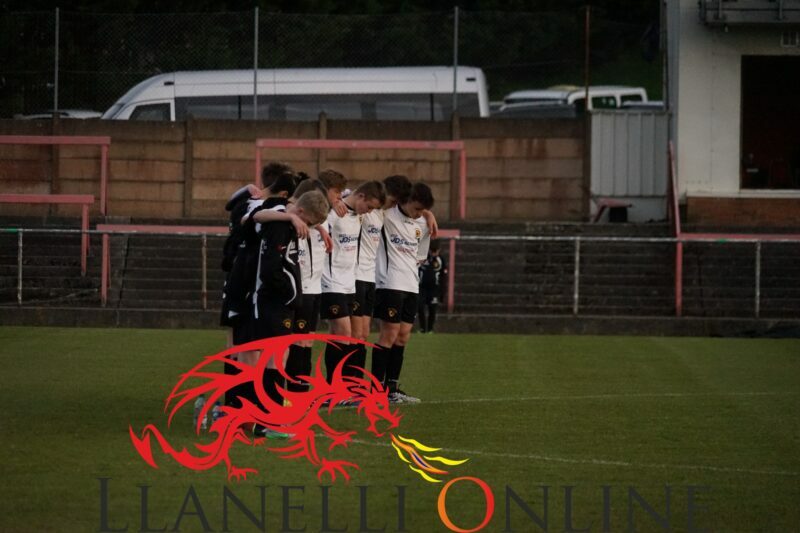 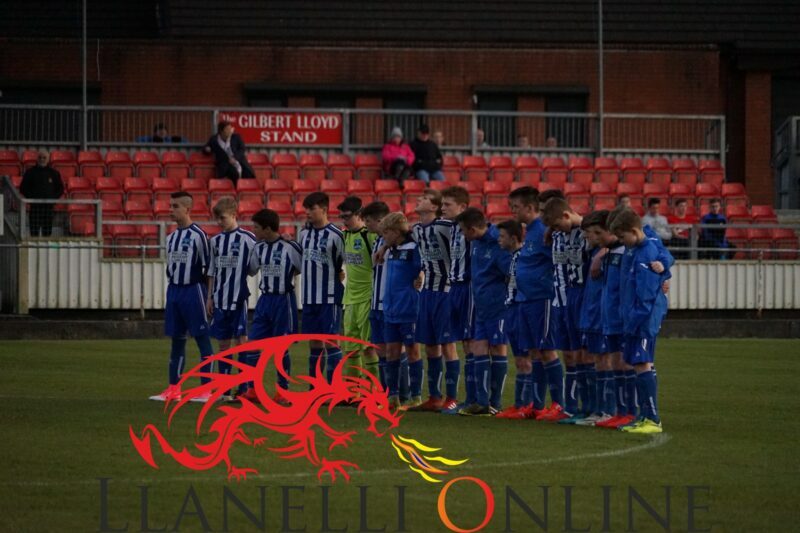 Both sides observed a minute’s silence before the kick off. 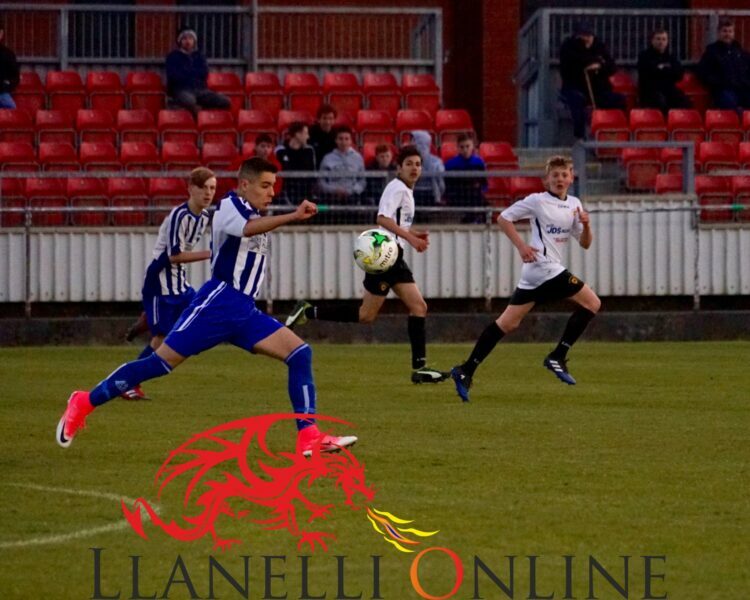 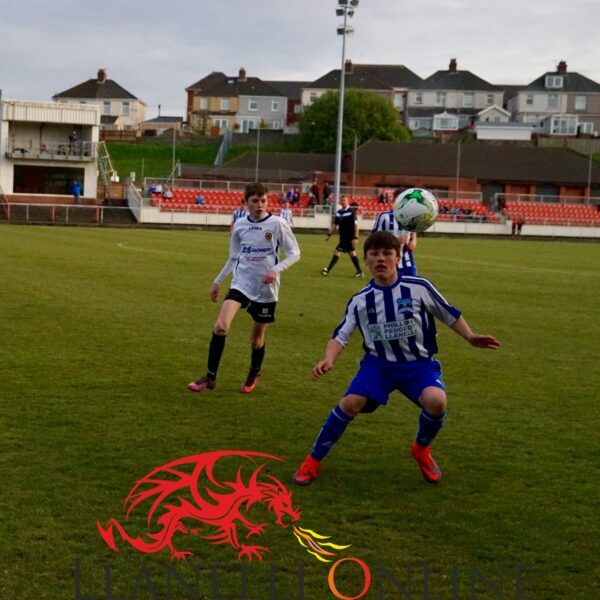 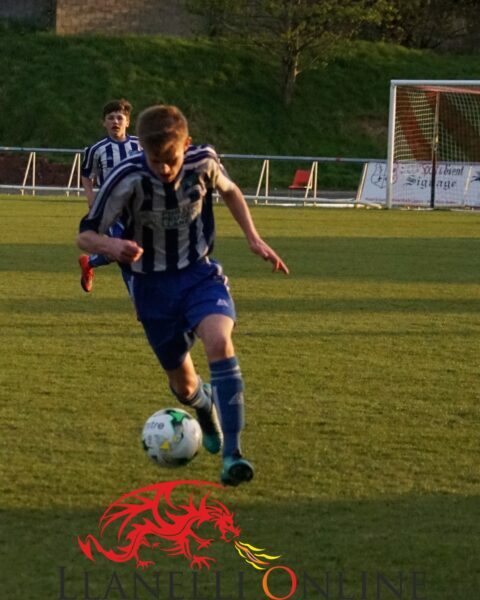 Carmarthen Stars looked to have the better of Calsonic in the first half and managed to get a goal following a great through ball, which saw the Calsonic keeper come off his line, slip and allow the Stars no15 to slot the ball in unopposed. 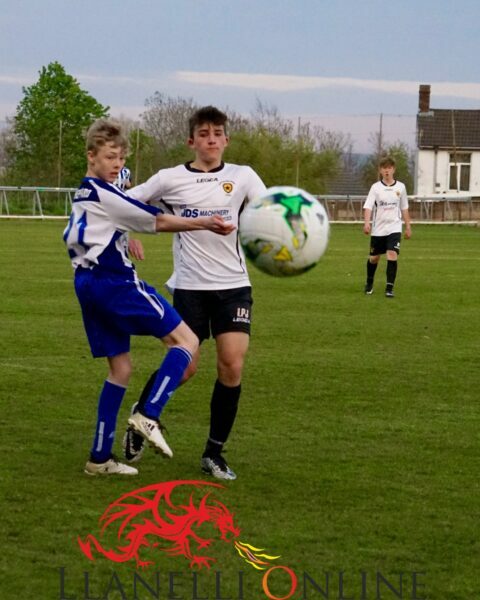 It was a neat bit of finishing. 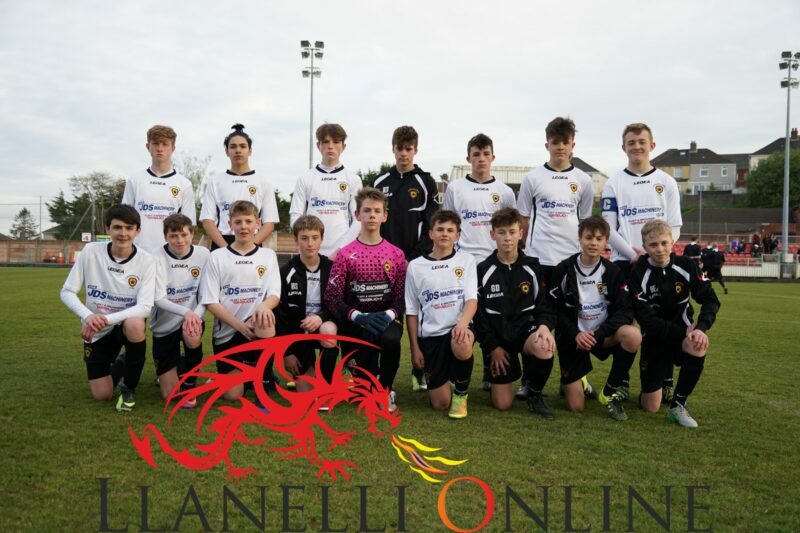 Carmarthen Stars hung on to that slender lead until the death as both goalkeepers managed to fend off some great strikes on goal at both ends of the field. 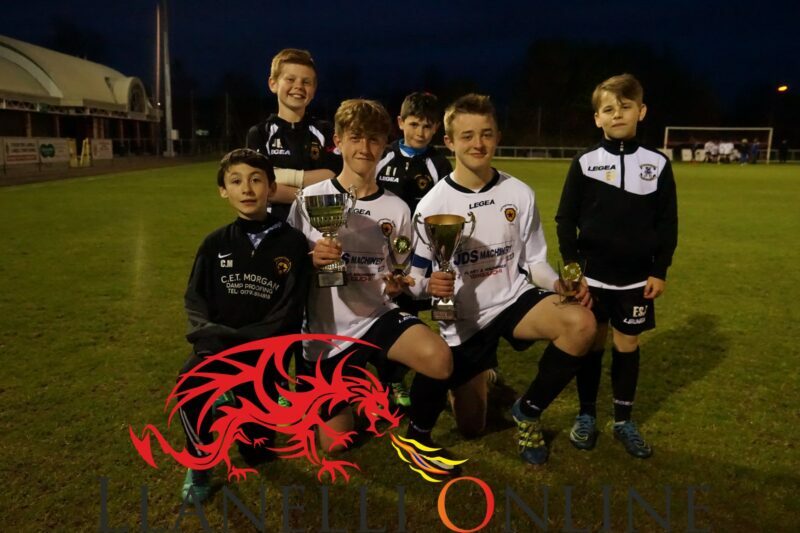 Calsonic will be disappointed that they did not capitalise but they lost to worthy opposition in the Carmarthen side who lifted the cup in the end. 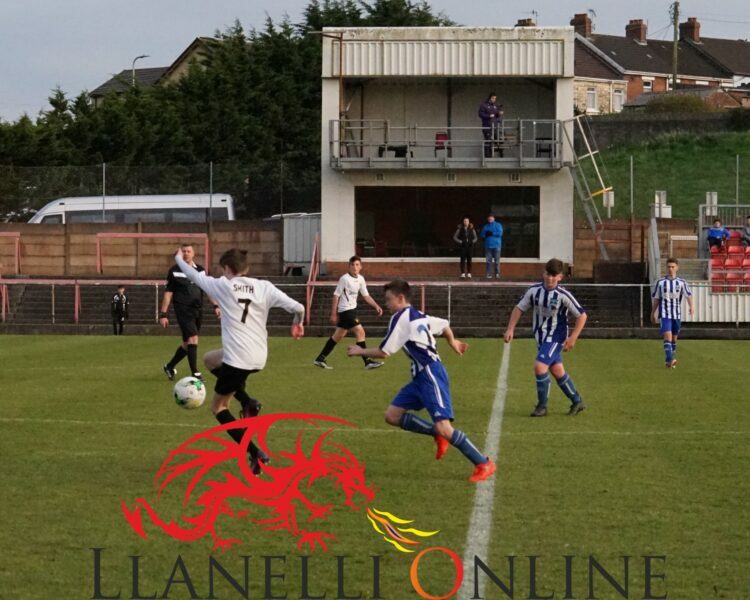 It was a fine display of grass roots football. 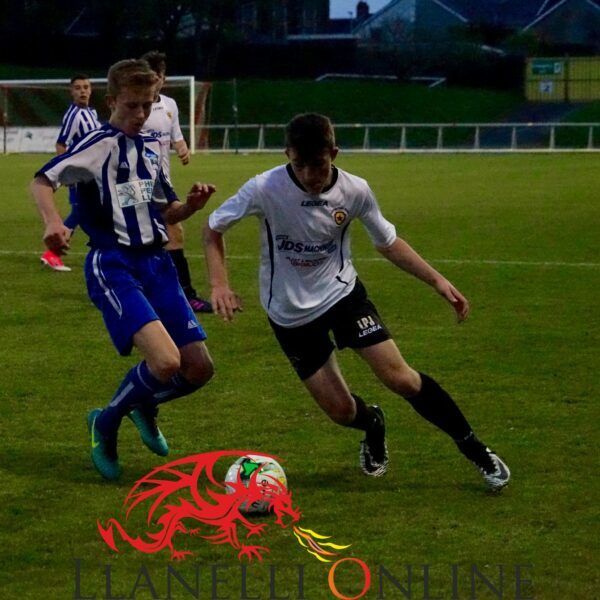 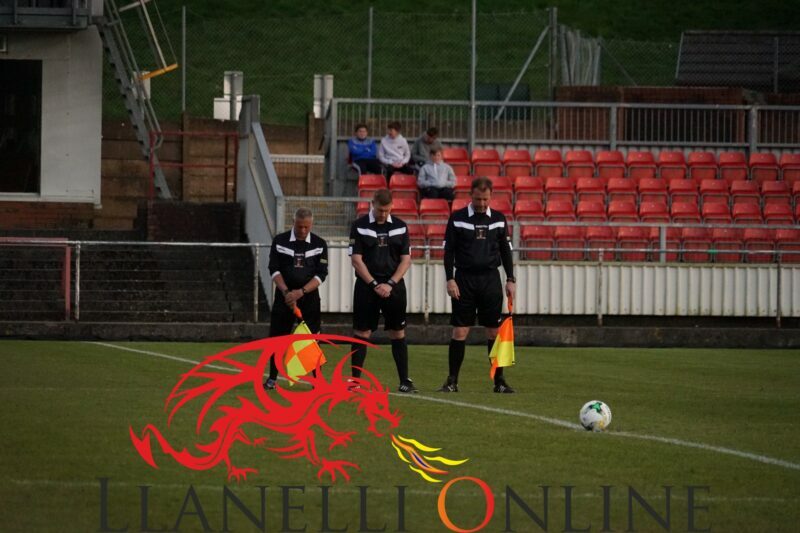 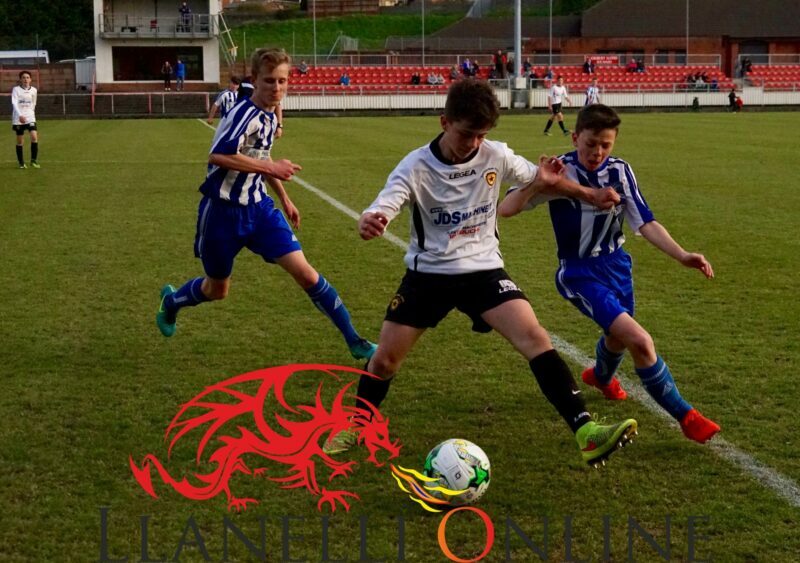 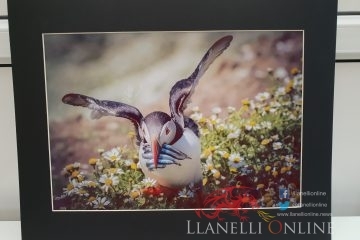 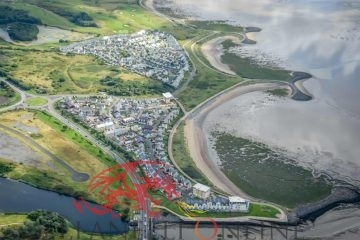 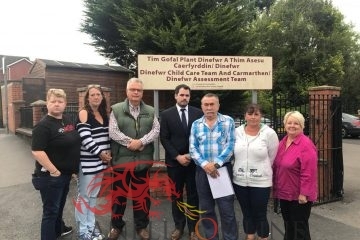 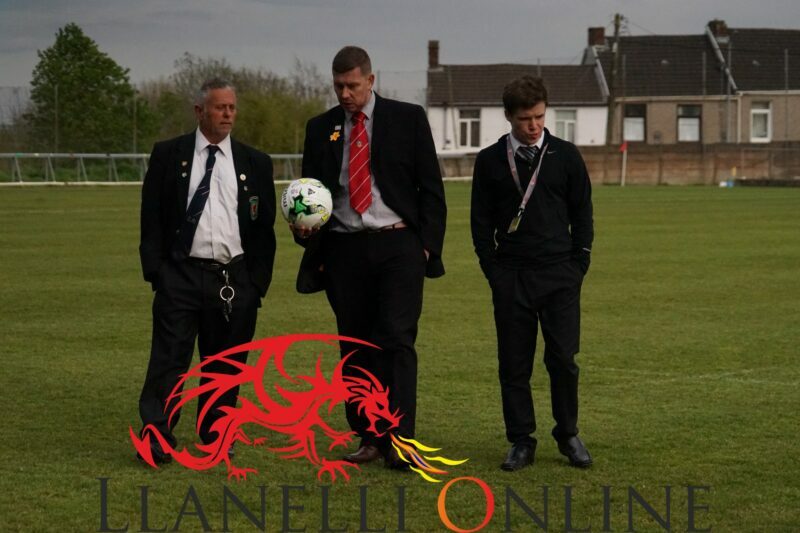 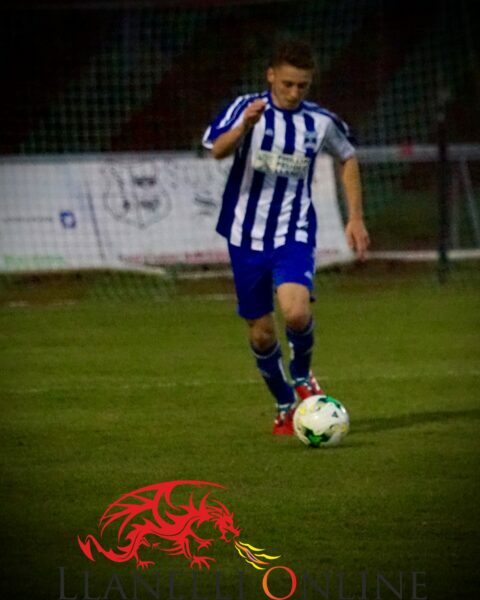 GOAL from Llanelli Online on Vimeo.